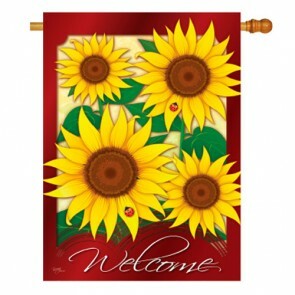 Shop our collection of Welcome House Flags. 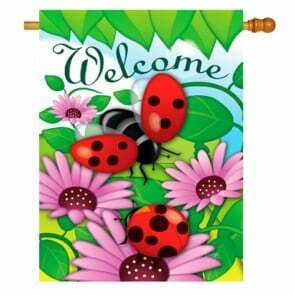 We offer a large selection of decorative outdoor welcome flags to choose from. Our Collection of Larger Decorative Flags makes for a great addition to any homes outdoor decor. 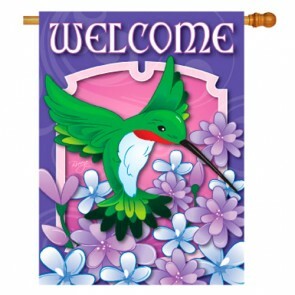 Our selection of decorative flags features an array of welcome flags with flowers, birds, butterflies and more! A typical Size House Flag measures approximately 28” Wide by 44” Tall and fits on any standard 5 foot flagpole. 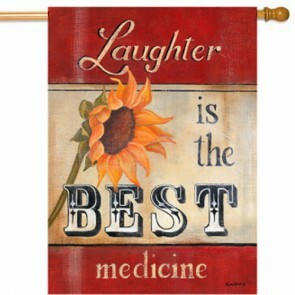 Buy From us and make HouseFlags your Home for Decorative House Flags.